Energy efficiency is the key to facilitating integration of energy optimised individual buildings into an intelligent energy network. The major goal of this guideline database is to facilitate the upcoming “nearly zero energy” standard requested by the EU for 2050 for the building stock, by means of knowledge of already available and implemented best practice standards, which sometimes even exceed these goals. It can also act like a supporting tool to assist in finding and comparing already available and affordable best practice retrofit solutions for buildings. All this is done with a special focus on refurbishment. It can be seen as a helping resource for the implementation of already available innovative systems including environmentally-friendly building components, the latest HVAC technologies and low energy consuming devices. in the cities of Europe! SINFONIA demonstrates the deployment of large-scale, integrated and scalable energy solutions in mid-sized European cities in view of fostering the uptake of smart energy efficient solutions Europe-wide. This site is maintained by the Passive House Institute - Department Innsbruck. The PHI has assumed a leading position with regard to research on and development of construction concepts, building components, planning tools and quality assurance for highly energy efficient buildings. Engage and support other cities in deploying their own smart energy solutions in view of triggering the deployment of smart energy solutions EU-wide. 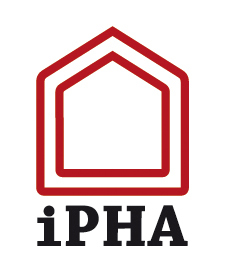 The Passive House Institute (PHI) is an independent research institute lead by Dr. Wolfgang Feist with a continuously growing interdisciplinary team of employees. PHI has played a crucial role in the development of the Passive House concept. The first pilot project (Kranichstein Passive House, Darmstadt, Germany, 1990) was Europe’s first inhabited multi-family house to achieve a documented heating energy consumption of below 12 kWh/(m²a); a consumption level confirmed through years of detailed monitoring. Since then, the Passive House Institute has assumed a leading position with regard to research on and development of construction concepts, building components, planning tools and quality assurance for highly energy efficient buildings. 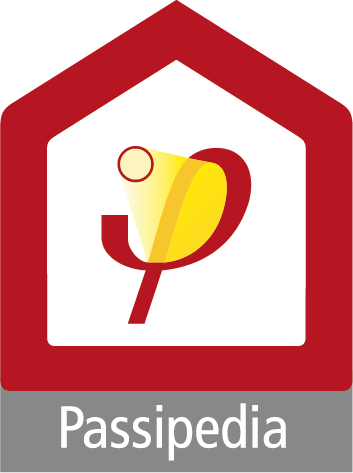 PHI has been responsible for the building physics-related consultancy and technical guidance on a number of firsts including the first Passive House office building, the first Passive House factory, the first Passive House schools and gymnasiums, the first Passive House indoor swimming pools and the first Passive House retrofits. The Institute is currently providing such expertise for numerous new, innovative projects. SINFONIA is a Smart Cities project that aims to deploy and promote large scale, integrated and scalable energy solutions in mid-sized European cities, in view of fostering the uptake of smart energy efficient solutions Europe-wide and improving citizens’ quality of life. Over the five years of the project, the cities of Bolzano and Innsbruck will work hand in hand to achieve 40 to 50% primary energy savings and increase the share of renewables by 20% in two pioneer districts. This will be done through an integrated set of measures combining the retrofitting of more than 100,000m² of living surface, optimisation of the electricity grid, and solutions for district heating and cooling. Beyond technological solutions, SINFONIA will address districts as living spaces, and will therefore integrate air quality and smart mobility measures to improve the citizens’ quality of life. To bridge the gap between demonstration and large-scale replication, SINFONIA will define a limited set of district typologies and corresponding refurbishment models, enabling cities to easily assess their needs and efficiently define their long-term refurbishment strategy. To ensure their scalability and transferability, these models and typologies will be tested and validated with all stakeholders involved – public and private, from citizens to energy regulators – as part of the project. Scalability and transferability of SINFONIA solutions will further be ensured by the active involvement of five ‘early adopter’ cities in the project, namely La Rochelle (FR), Rosenheim (DE), Pafos (CY), Seville (ES) and Borås (SE). They will each follow-up the work carried out in Bolzano and Innsbruck, and define their own optimal district refurbishment strategy using the typologies and models developed in the project, hence ensuring the first step towards actual replication of smart energy solutions. At the heart of the SINFONIA approach is the close and long-term collaboration between city authorities from seven European countries representing a wide variety of regulatory environments and climate zones, together with a strong involvement of public and private stakeholders during the project. Overall, SINFONIA involves 25 partners from eight European countries and is coordinated by SP Technical Research Institute of Sweden. It is co-funded by the European Union under the 7th Framework Programme for Research, Technological Development and Demonstration and is set to run until May 2019.